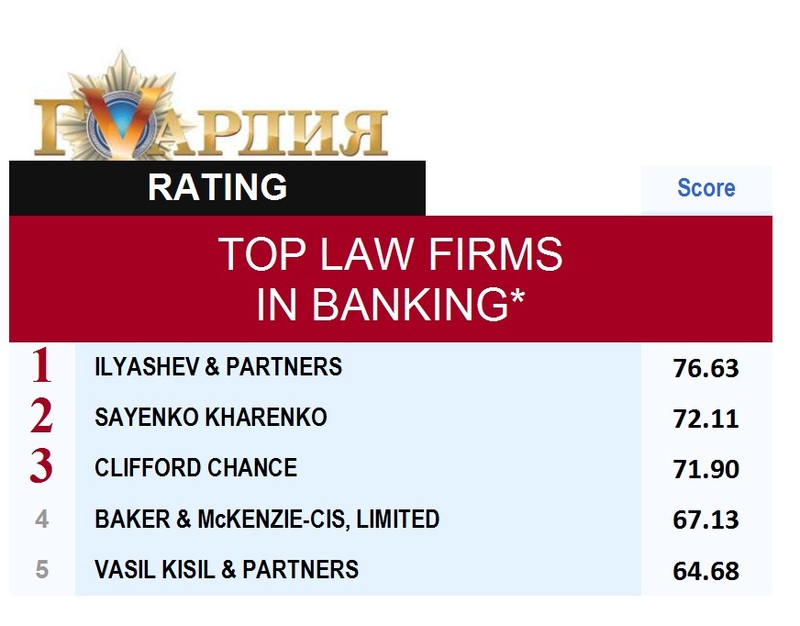 Ilyashev & Partners is ranked leading law firm in banking, telecommunications, IT and pharmaceuticals by GVardiya national rating edition published in Ukraine by Galytski Kontrakty. GVardiya’s rating lists the top lawyers in a number of practice areas such as banking, insurance, telecommunications, transportation and pharmaceuticals, as well as securities, energy sector, real estate and agribusiness. The rating lists featured law firms as assessed by clients and experts. 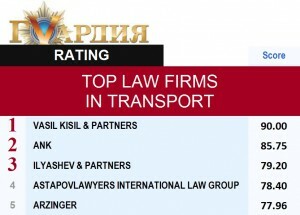 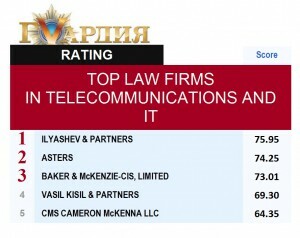 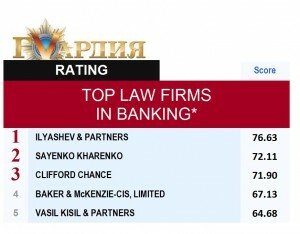 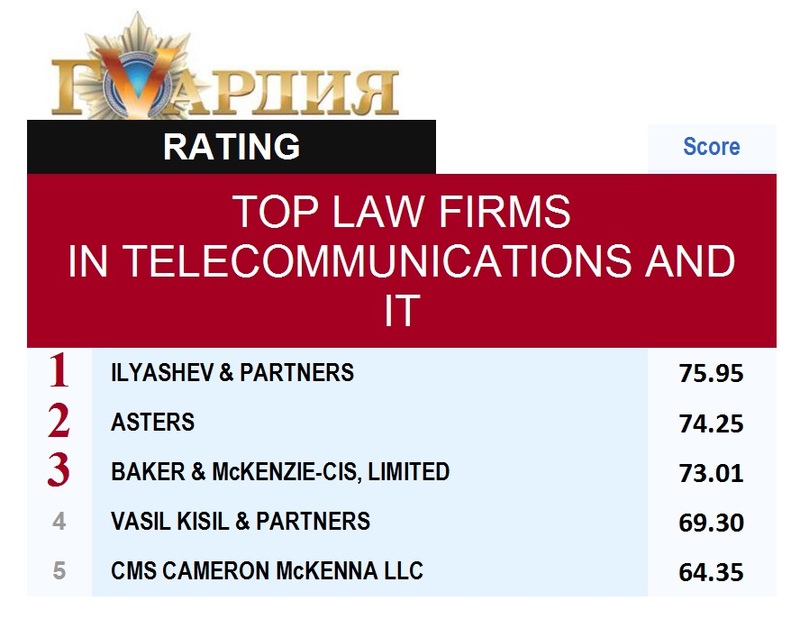 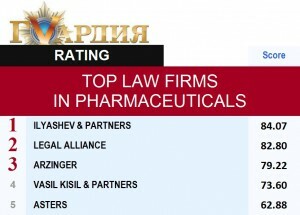 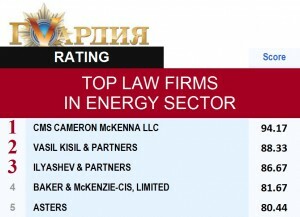 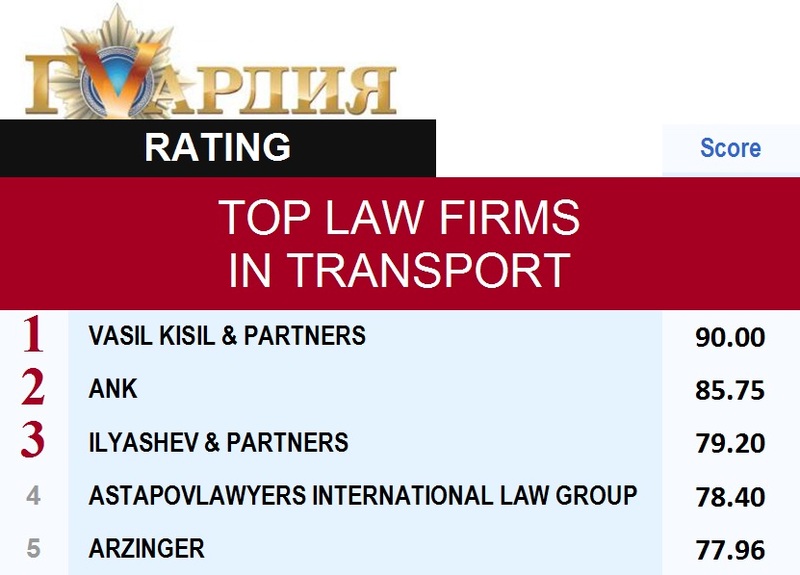 GVardiya also named Ilyashev & Partners one of the most open law firms in 2013. 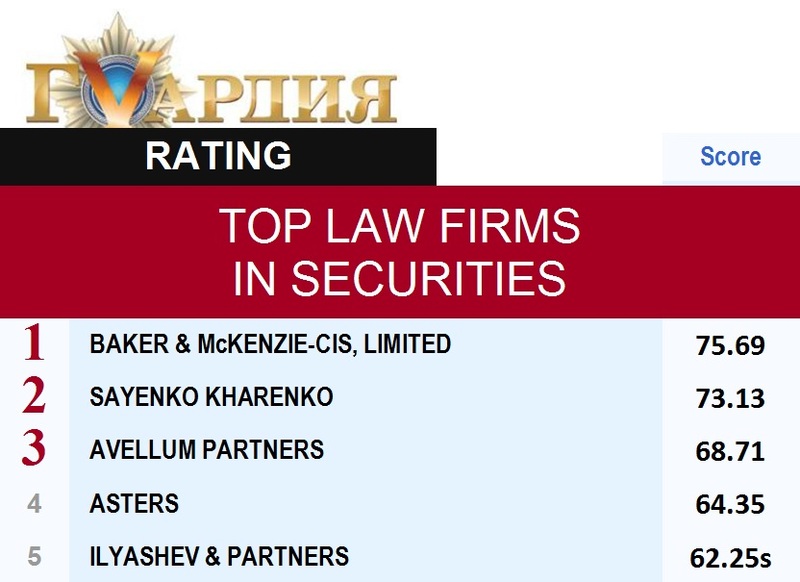 The rating is based on an integrated systemic approach that analyzes feedback received from the Ukrainian companies of 2012 GVardiya’s 500 and the corporate clients of law firms, as well as independent reviews by GVardiya’s expert council. Notable members of the expert council included: Vasil Kisil, LLD., Chairman of GVardiya’s expert council, a founding senior partner of Vasil Kisil & Partners Law Firm, LLD, professor at the International Private Law Department, School of International Relations, Taras Shevchenko Kyiv National University; Inna Bogatykh, coordinator of the Commission for the Protection of Creditors’ Rights at the Ukrainian Independent Bank Association; Lev Partskhaladze, President of Ukrainian Builders’ Confederation; Sergei Popov, Partner, head of Tax and Legal Consulting Department, head of Pharma Business industry practice at KPMG Ukraine, and other experts.